Managed IT Services FAQs | ATI Solutions, Inc. What are redundant CRAHs? Running servers and hardware around the clock generates a considerable amount of heat in data centers, and each one must invest in adequate cooling to protect its clients’ machines. While data center operators may use a variety of cooling methods, our DC area colocation centers use multiple computer room air handlers (CRAH) to prevent interruptions due to overheating. Servers and hardware can take considerable power to cool, as a single rack of servers can easily generate over 100 degrees. Most data centers run at temperatures around 68 degrees, keeping the machines cool enough to work while maintaining optimal climate control. Air conditioning units. Air conditioning, a system that blows air over a cooling coil filled with refrigerant, has been used in many forms to keep electrical systems cool. However, simpler units are being phased out in favor of more modern CRAC and CRAH units. CRAC units. Computer room air conditioning (CRAC) systems work similarly to air-conditioning units, but are able to maintain a set temperature, air distribution, and humidity level. In most cases, the cool air is dispensed through an elevated floor, forming cold aisles that move through the racks. The picks up heat, forming hot aisles at the rear of the racks, then returns to the CRAC intakes above the floor. CRAH systems. A computer room air handler (CRAH) differs from a CRAC unit because the air is cooled over a cooling coil filled with chilled water instead of using mechanical refrigeration. CRAHs are able to modulate fan speed to maintain a set static pressure, keeping both temperature and humidity stable. Our two facilities offer N+1 or 2N redundancy for cooling and power, complete with built-in CRAHs, a multi-stack chiller plant, and hot aisle containment for high-density accommodation. ATI Solutions has a variety of highly-customizable IT interventions and deployment options that can be scaled up or down according to your business’ needs. Contact us today to get more information about the storage and service options in our D.C. data centers, or set up an appointment to tour our Chantilly facility. Multi-protocol label switching (MPLS) is a way to make IP routing over the internet faster and more efficient. In networks without MPLS, an internet router receives an information packet with a destination IP address, but no instructions on how that packet should be sent to its destination. Each time the packet contacts a new router, the router will make an independent decision on where the packet will be forwarded next, which can cause a noticeable lag in high-quality or time-sensitive applications. MPLS improves routing delivery and response by establishing predetermined routes for different types of packets. Instead of forwarding a packet based on its final destination, MPLS systems “map out” the most efficient route for the type of information being sent, then sends it to the next point on the map to reach the final router. This ultimately makes the process much faster. Assigning FEC. The first time a packet enters the network, it is assigned to a specific forwarding equivalence class (FEC) based on its final destination and file type. Attaching a label. A short bit sequence called a label is attached to the packet containing the additional forwarding information that the router did not have. The label is removed at the final destination router. Streamlining the network. Each router in the network is configured to process packets of a specific FEC type. As a result, once the labeled packet is sent to its next destination, each router can route the traffic without analyzing the packet’s information or performing additional IP lookups because of the label. Improving consistency. MPLS networks have the ability to route and label packets grouped by certain characteristics, such as the point of transmission and the type of application. This allows packets carrying real-time information, such as voice over IP (VoIP) or videos, to be sent using low-latency routes across the network to be delivered without interruption. 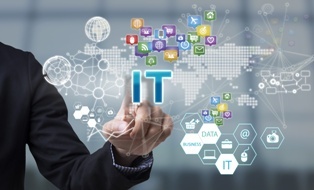 How can I tailor my IT services to meet the needs of my business? Businesses face a wide range of IT challenges, and failure to select the right options can have costly consequences. Your IT provider should provide a reliable platform for your customers, but also have the necessary measures in place to protect information and prevent downtime—all while working within your specific business requirements and budget. ATI’s management solutions are highly customizable, making us the optimal choice for insurance companies, banks, and other businesses. The right IT solutions will be those that allow you to grow at your own pace, charge only for the resources you need, and perform interventions if an adverse event were to occur. The more flexibility your provider has, the better the chances that your needs will be met if you choose to scale operations up or down. Colocation. The purchase and maintenance of IT hardware can place a drain on your resources, especially for small businesses with few employees. Conveniently located in the DC-area, our two data centers have redundant power and cooling, connectivity with multiple carriers, and industry-standard security measures. Cloud hosting and deployment. If your company relies on any services delivered either over the internet or a dedicated cloud network, you will need someone to host and oversee your cloud platform. Our skilled technical staff can create a customized, scalable hosting plan for your infrastructure through private clouds, Software as a Service (SaaS), or Infrastructure as a Service (IaaS) for a fully-managed virtual platform. Managed services. A managed IT service gives owners the ability to focus on their daily business operations while the provider prevents potential technical problems. ATI is an Internet Service Provider (ISP) and wide area network (WAN) provider, and our vulnerability and patch management teams regularly audit systems and implement security solutions before they become problems. Disaster recovery. Disaster Recovery as a Service (DRaaS) offers the peace of mind that your business-critical systems will remain online in the event of a natural disaster or any other emergency. The professionals at ATI Solutions can evaluate your needs and help you determine which storage and service options are right for you. Contact us today to get more information about how our data centers can serve your needs or set up an appointment to tour our Chantilly facility. Data centers are responsible for providing reliable and uninterrupted service for their customers around the clock. Unfortunately, these facilities are not infallible, and will always be susceptible to sudden power interruptions caused by weather, equipment failure, or sudden loss of municipal utilities. Since an unplanned outage can cost a company thousands or even millions of dollars in just a few minutes, many data centers offer multiple redundancies to prevent downtime. Redundancy is the duplication of critical components of a system in order to provide a reliable backup in case of sudden failure. Data centers typically offer some form of redundancy for power, ensuring that the customer’s systems and devices will continue to operate with no noticeable effect to the user in an outage. However, not all data centers’ redundancy systems are equal. N+1. An N+1 system, also known as parallel redundancy, offers alternate, redundant components capable of handling 100 percent of the work needed to supply power to the customer’s equipment in case of component failure. Although this system contains redundant equipment, it may run on a shared main power source, so it is not a multi-independent, redundant system. 2N. A 2N system offers not one, but two uninterruptible alternate sources of power, offering seamless transitions between sources to continuously support the customer’s systems and equipment. In addition, the power sources are run separately, fully independent of each other, and go through a fully redundant path to eliminate any single points of failure. 2N systems are more reliable than N+1 systems because they offer at least two options for power in the event of failure, and can be regularly maintained, independently, and be used in the event of an extended power outage. Our Chantilly location offers 2N redundancy for data loss and downtime prevention. 2N+1. A 2N+1 configuration is the highest common tier of downtime prevention, and offers double the amount of power needed to run all client systems and devices. Additionally, each power source has separate, parallel, fully redundant components that can seamlessly power all necessary systems. All this means that if one component from one main power source used in the path fails, there is a backup component which can fully take on its role. This applies to all the components in each separate path from the main power sources. The professionals at ATI can evaluate your needs and help you determine which service options are right for you. Contact us today to get more information about how our data centers can serve your needs or set up an appointment to tour our Chantilly facility. How much space will I need in a colocation center? You are ready to take your network to the next level, but you are not sure if a colocation provider is the best option. A colocation center can provide the power, cooling, bandwidth, and security necessary to store your servers and to keep your network up and running; however, there are monthly fees and rental costs needed to do so. As a result, you should carefully consider what your current needs, growth objectives, and the many options you have before you buy. 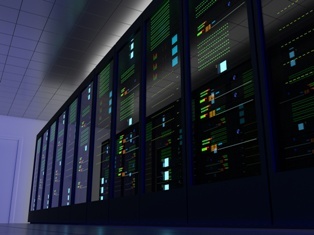 Data centers use a standardized measurement system when it comes to classifying server space. A (U) is the term used to measure storage space in racks, and the standard physical measurement of one rack unit (U) is 44.45 mm or 1.75 inches in height. From there, the amount of space used by a business can vary from inches to several thousand square feet depending on the scale and complexity of its network infrastructure. Racks. 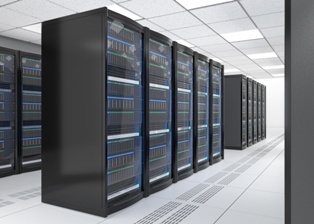 In a colocation center, servers, network devices, and other hardware are mounted in a frame called a rack, making it easy to replace failed components. A standard rack is 19" wide, can accommodate several U in height, and each server rack shelf is positioned to provide optimized cooling. Data centers may allow customers to rent quarter, half, or full racks. Cabinets. A cabinet is an enclosure that acts as an outer shell or casing on a rack, which is locked and kept secure by the colocation provider. Fundamentally, all cabinets serve the same purpose. However, they can physically vary from being a separate enclosure installed around a rack, a larger enclosure meant to closely house multiple full racks, or even a “one-piece” design where the racks and the cabinet are one unit. Depending on security preferences, a customer may require an entire cabinet or share a single cabinet with other customers. Suites. Customers who require either higher security, extensive storage, or both may store their servers in large locked areas, commonly referred to as suites. A suite can be a large metal cage, a locked transparent room, or a secure confined area composed of privacy paneling. Suites house several or hundreds of cabinets depending on the desired square footage. If you are anticipating rapid growth, it may be a good idea to invest in one of these storage options now to avoid the headaches of a massive data center migration later on. ATI offers secure server storage in one of our two DC-area data centers, both of which offer critical systems monitoring 24 hours a day, seven days a week, 365 days a year. Contact us today to get more information about how our data centers can serve your needs or set up an appointment to tour our Chantilly facility. 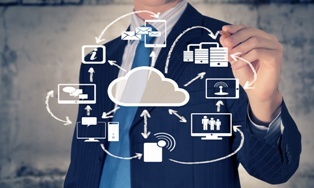 What cloud infrastructure plan is right for my business? Once you have decided to invest in cloud computing, you will need to consider who will be responsible for hosting and maintaining your infrastructure. Large corporations may host their own platforms onsite, but this is often not feasible for small- or medium-sized businesses who do not want to devote a large portion of their resources to the IT department. Fortunately, third-party hosting services can take on as much or as little of the hosting and deployment necessary for your virtual environment. Hosted. A hosted cloud is owned and maintained by a service provider, with the hardware necessary to deploy the cloud in an offsite location. The business pays a monthly subscription fee, and the provider manages all of the applications and services. Hybrid. In a hybrid system, part of the infrastructure is hosted by a provider and part is hosted by the business. This system can involve many different combinations of solutions depending on the individual needs of each business. One of the benefits of a hybrid solution is that it allows companies to migrate into the cloud slowly, keeping sensitive systems onsite and using hosted clouds for less critical applications. Private. A private infrastructure is optimal for businesses who want to keep their servers and equipment onsite. The hardware is kept on the company’s premises, and the service provider is responsible for deploying and maintaining the cloud platform. Many different factors can impact the choice of an infrastructure plan, including the type of industry, client base, and scale of operations. The professionals at ATI can evaluate your needs and help you determine which cloud computing plan is ideal for you. Contact us today to get more information about how our data centers can serve your needs or set up an appointment to tour our Chantilly facility. Patch management consists of grading new patches, testing them, and pushing them out. Patching plays a crucial part in businesses staying up-to-date with the newest versions of all the software they use on a day-to-day basis. Patching can correct known issues without installing new programs from square one. The system will remain secure and navigable without any disruption to the user when patches are implemented correctly. A patch is a piece of code that is created to be integrated into an existing software program. Software providers often release patches as new “updates” or “versions” which can improve functionality, performance, provide bug fixes, and prevent security breaches. Installing a Windows update or upgrading to the newest version of an iPhone app are examples of patch deployment. Without good patch management, a company could have a vulnerability in its software that a hacker could take advantage of—which could lead to stealing private information or bringing down the entire system. Software and applications cannot exist in a vacuum. They will need to be updated regularly—in most cases, every few weeks—in order to function as intended. As businesses may neglect to install patches or fail to identify weaknesses in their systems, patch management is a necessary part of any IT service. Our team is proud to offer patch management for all Microsoft releases, as well as third-party software programs. We also identify potential security threats before they can be exploited, implement emergency patches for disaster recovery, and provide you with a report detailing any potential vulnerabilities. Contact our family-owned DC-area data center today to get more information about how we can serve your needs or set up an appointment to tour our Chantilly facility.